A Chinese firm is now demanding refund from former Finance Minister Felix Mutati and former Energy Minister David Mabumba over the upfront payment they paid them in order to corruptly be awarded contract for the construction of the Kalungwishi hydro power plant in Northern Province. 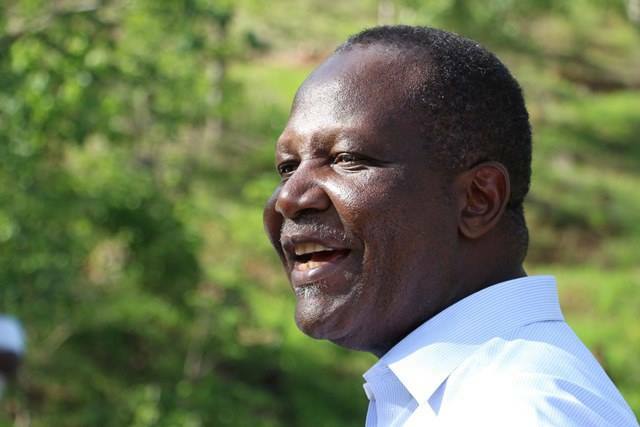 Here is what happened and why Felix Mutati was demoted and David Mabumba was moved. About sometime end of last year, the Zambian government earmarked to construct a hydro power plant in Northern Province. ZESCO through the Zambia Public Procurement Authority (ZPPA) advised for bids for the power project. One Chinese firm did all the feasibility studies and technical drawings plus everything and quoted for the project at US $190 million. Another Chinese firm quoted for US $90 million, but this firm and it’s managers don’t even exist. They have never even been to Zambia. But all they did was approach then Finance Minister Felix Mutati and then Energy Minister David Mabumba and paid them huge sums of money for the project. ZPPA awarded the tender to the Chinese firm that had been on the ground and had done the feasibility studies and technical drawings costing US $190 million. But David Mabumba and Felix Mutati prevailed on the ZESCO board to cancel the contract and re-advertise it. David Mabumba and Felix Mutati also prevailed on the ZESCO board to fire the ZESCO Managing Director Victor Mundende. The ZESCO board put Mundende on forced leave pending investigations. Later the Office of the President (OP) picked the story and carried investigations and discovered financial transactions involving the corrupt Chinese firm that had deposited money into Felix Mutati’s off-shore account while the money for David Mabumba was deposited into his Zambian account. Then the OP gave the dossier to Edgar Lungu who summoned the ZESCO board to explain what was happening. Later a decision was made by Edgar Lungu to fire Felix Mutati and David Mabumba and refer them to the Anti Corruption Commission (ACC). But politically it became a challenge for Lungu to fire two ministers at.the same time. Firstly Lungu got scared that the corruption allegations against him and his ministers as being championed by the opposition will be fully confirmed, especially once they got arrested. Secondly Lungu feared that firing two ministers from the same Bemba regional block will be politically damaging as he would have been accused of fighting the Bembas. Then Lungu decided to just demote both Mutati by shanting him at Ministry of Works where he is just reading newspapers and Mabumba taken to Education where he is just distributing the Edgar Lungu branded books to pupils. But now the Chinese crooks who.had paid both Mutati and Mabumba are demanding for a refund for the corrupt money they gave them.